Please note that this is a preliminary update about the research findings. The spiritual research is still underway. However, we thought it was important to update our readers on the initial findings. It is hard to imagine a world without shampoos and conditioners, perfumes, lotions, foundation, mascara, and the list goes on. The reason for our passion for cosmetics is our obsession to look and feel beautiful (and to hopefully change the way people perceive us). But does a layer of cosmetics really make us beautiful? We love our cosmetics, but do they really take care of us? Depending on which survey you look at, anywhere between 80-95% of women wear makeup with at least 70% of them stating that they do not leave home without makeup. For centuries, women have worn makeup in an effort to meet the cultural standards of beauty. Cosmetics are used to accentuate certain facial features while hiding the not-so-perfect others. The qualities that we usually consider beautiful are hardwired into us and are signals of reproductive fitness, such as sexuality, health, and youthfulness. Using makeup promises to give women a beautiful new face with red lips, flawless skin, captivating eyes, and a bit of colour in their cheeks. All this is to increase women’s attractiveness, at least from a biological and cultural standpoint. Research shows that makeup can significantly alter the impression we have of women. A personal care product use survey of more than 2,300 people, conducted by the Environmental Working Group (EWG) and a coalition of public interest and environmental health organisations, shows that the average adult uses 9 personal care products each day, with 126 unique chemical ingredients. Of late, there have been pushes to increase the regulation around the cosmetic industry and to understand the physical impact of these chemicals. The spiritual impact of makeup is not even on the radar of such non-profit groups and governmental bodies and hence is never discussed when making policy decisions at the Food and Drug Administration. 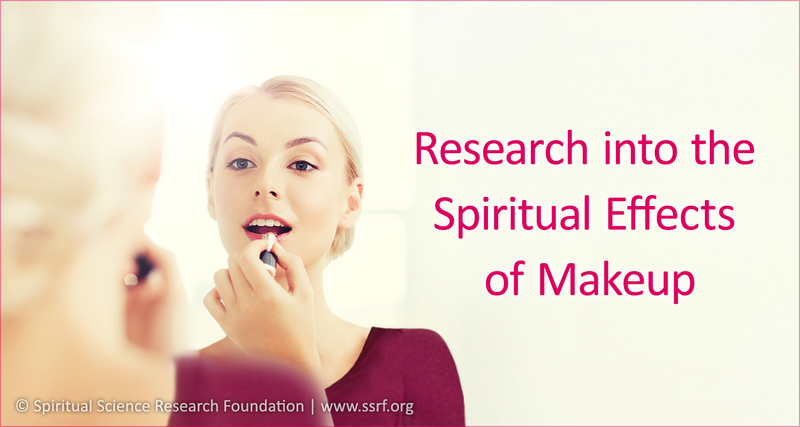 The Spiritual Science Research Foundation and the Maharshi Adhyatma Vishwavidyalay (also known as the Maharshi University of Spirituality), Goa, India recently undertook a research project to understand the spiritual impact on a woman when she wears makeup. The research is still in its early stages, but the findings are already quite telling about the adverse impact of regular makeup (regardless of brand). We wanted to share the findings with our readers so that they can make more informed decisions about the use of makeup. Such analysis can only be fully undertaken using one’s sixth sense, which needs to be of an advanced level. However, nowadays with advancements in aura and subtle energy scanners, we are able to measure the subtle vibrations associated with objects to some extent. The aura and subtle energy scanner that we used to measure the effect of makeup on women is the Universal Thermo Scanner (UTS). It is an instrument developed by Dr Mannem Murthy (a former nuclear scientist from India) and is used to measure the subtle energy (positive and negative) and the aura around any object (living or non-living). The negative energy readings are of 2 types and are denoted by IR (infrared) and UV (ultraviolet). As per the instrument, IR denotes a lesser form of negative vibrations and UV denotes a more intense form of negative vibrations. The research team has used this instrument extensively, i.e. something like 10,000 readings of objects over a 5-year period and it has been observed that the UTS is quite accurate and corroborates with other readings obtained through sixth sense. The 9 subjects who up to now have taken part in the experiment have been lady-seekers from the Research Centre from various countries. They were asked to wear two sets of makeup, i.e. light makeup (for daily use) and heavier makeup (which they would use when going out in the evening). We measured the aura and subtle energy of subjects just before and after wearing each set of makeup. Later, we also asked them to wear sāttvik (spiritually pure) makeup such as kumkum. Kumkum is a red powder made from turmeric. It is spiritually pure and Hindu women wear it at their Adnya or forehead chakra for spiritual protection. 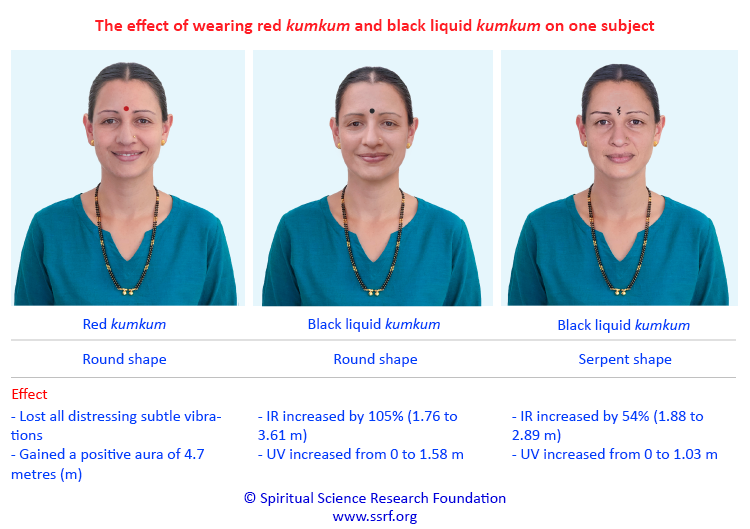 Here too, the aura and subtle energy of the subjects were measured before and after application of the kumkum. The following are some of the key findings of the impact of wearing commercially available makeup such as foundation, bronzer, concealer, eyeliner, blush, eyeshadow, lipstick, etc. The makeup and cosmetics used by the subjects were those of well-known international brands. For the seekers who initially had some distress (i.e. they had an IR reading), after applying makeup the IR reading increased significantly within just a few minutes of wearing the makeup. The increase was anywhere between a 40% to a 230% increase. The negativity generated around the subject (from the application of the makeup) continued to increase for 2-4 hours before the readings came back to baseline. In most cases, UV readings were also observed, which denotes a more intense form of spiritual distress. The seekers who had no distress prior to the application of the makeup actually developed negative auras (that were both IR and UV). For example, one seeker who had no IR or UV readings on the UTS prior to the experiment, later recorded negative readings of 3.69 metres (IR) and 1.84 metres (UV). Heavier makeup on average had a greater negative impact than lighter makeup. The makeup instruments themselves were measured before and immediately after application. They too became more negative after use. It was as if some negative vibrations got activated in them just by using them. After the application of kumkum, across the board the increase in the positivity in subjects was easily evident. Among seekers who had distress, some of them temporarily lost all signs of spiritual distress and actually gained a positive aura. The positive effect lasted from 1-3 hours. Nowadays people also wear commercially available black liquid kumkum in various shapes and sizes. The types of the designs and colours also impact the wearer. 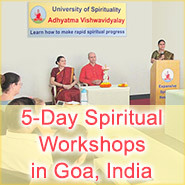 In the picture below one can see the effects of various types and styles of applying kumkum. From the above table it can be seen that by applying red kumkum, the subject lost all her distressing energy and additionally gained a positive aura of 4 metres. However, with the round black shape and serpentine shape made from commercial black kumkum, her negative aura increased significantly. 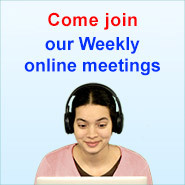 In relation to the subject’s face, one can observe how the facial vibrations became more negative with the black round black shape and serpentine shape. However, the facial vibrations with the red kumkum are far more pleasant. So, from this experiment one can see that the colour and shape of the symbol can affect the wearer significantly spiritually. We live in a world that conditions us to view the use of makeup as normal and necessary. However, from a spiritual standpoint there is nothing normal about makeup, and in fact it can be considered as abnormal due to the intense negative vibrations that it imbues the wearer with. The research has shown that every time one applies makeup, one actually applies a coating of spiritual distress, and it is in one’s best interest to avoid it. Kumkum, on the other hand is something that one should consider applying on one’s Adnya chakra as it protects against distressing vibrations and enhances one’s spiritual positivity. The current standard for beauty is focused on external beauty, but makeup does not make a person more beautiful or endearing. It is nothing but a mask, which to the trained eye emits negative vibrations and distorts the natural look of a person. It is the inner beauty of a person that is most important, but it is also rare. Outer beauty may attract, but it is inner beauty that makes us one more endearing to others. Inner beauty can only be achieved through regular spiritual practice, which increases a woman’s spiritual purity by reducing her personality defects and ego. With spiritual purity, the radiance that comes on a woman’s face is unmatched in making her appealing. At the Spiritual Research Centre and Ashram, none of the lady-seekers wear makeup, and yet many visitors to the Ashram have shared that their faces have a radiance to them that they have not seen elsewhere. What is Sattva, Raja and Tama?